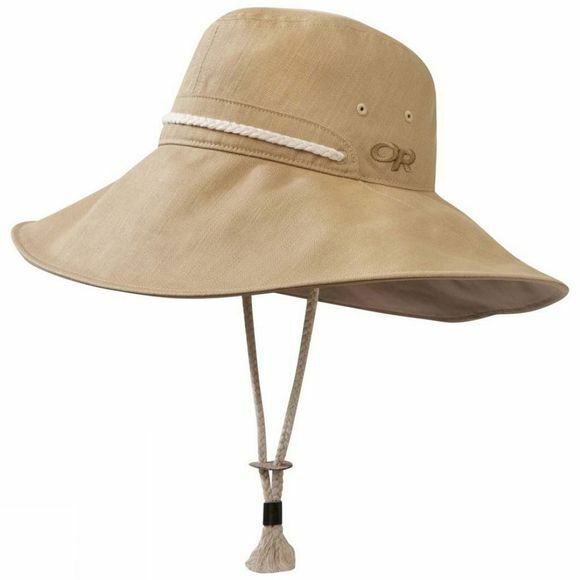 The Women's Mojave Sun Hat from Outdoor Research is a western style hat that will shield you from the sun. Made from 100% cotton twill with braided cotton cord the hat also feature variable brim width ana a wood badge logo. The hat is extreamly lightweight, breathable and is 50+ certificated.